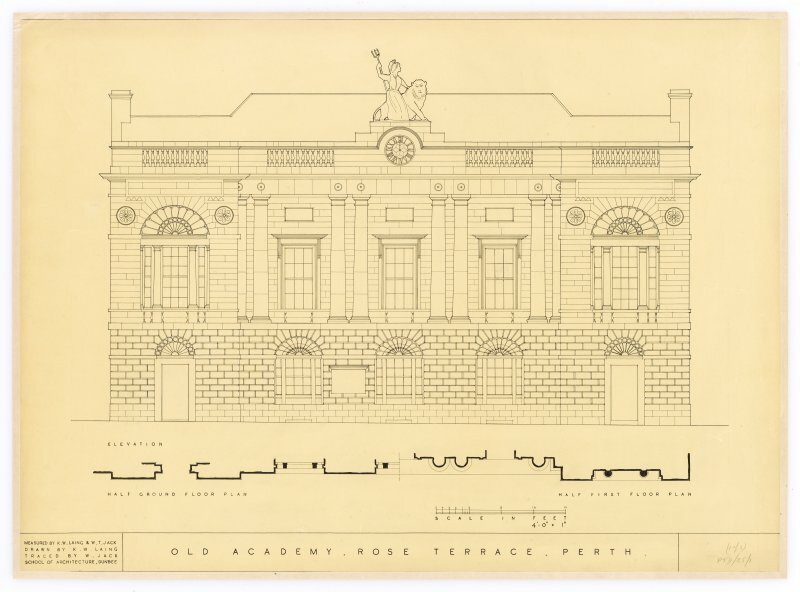 Perth, Rose Terrace, Old Academy. Cross section looking towards South gable. Contract Drawing. Insc: "Perth Seminaries". 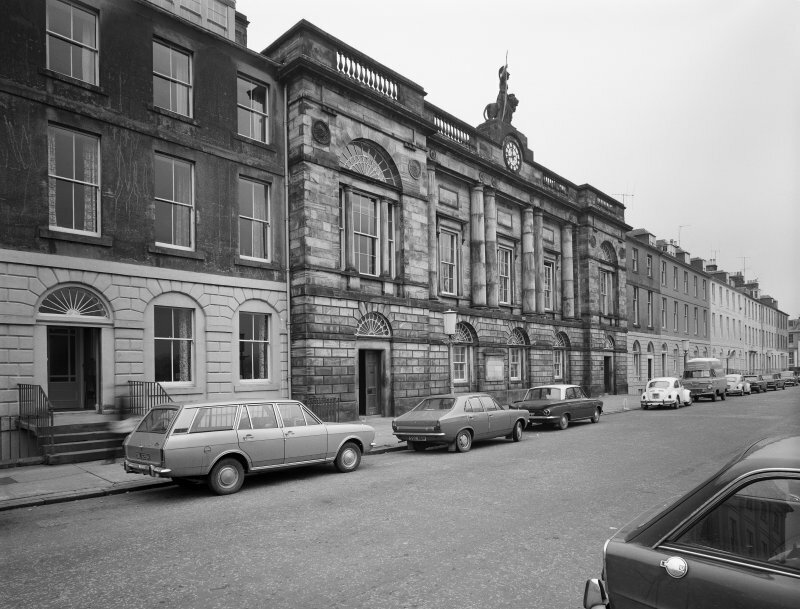 Perth, Rose Terrace, Old Academy. 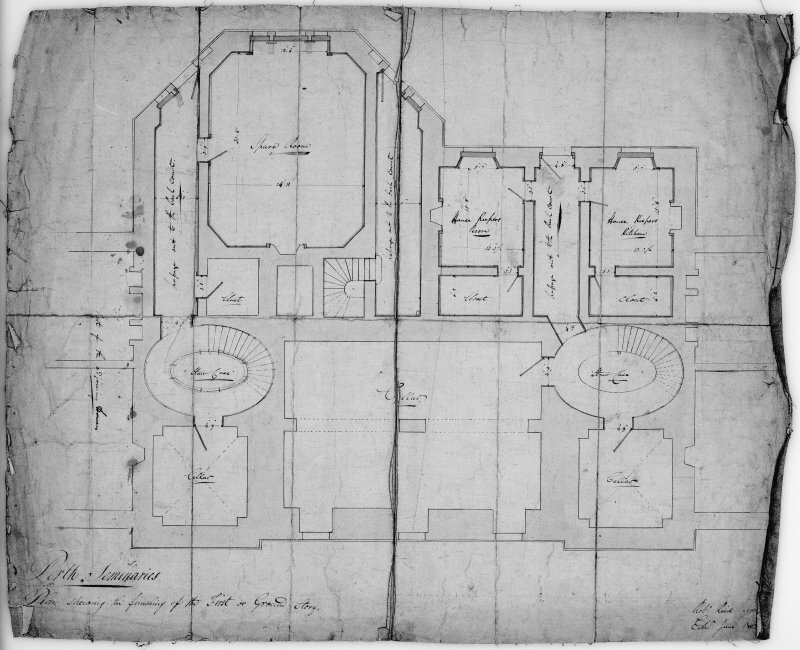 Section showing side of rooms for Grammar School etc. Insc: "Perth Seminaries". Perth, 6, 7 Rose Terrace, Old Academy. General view from North-East. 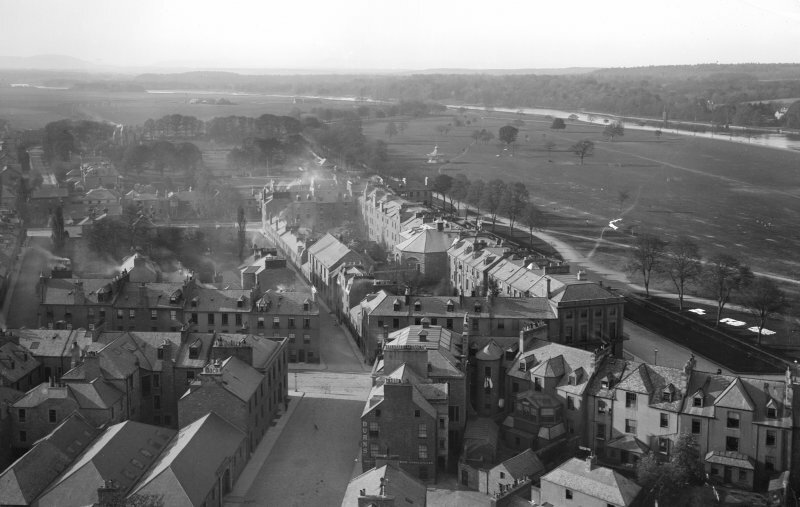 Perth, Rose Terrace, Old Academy. 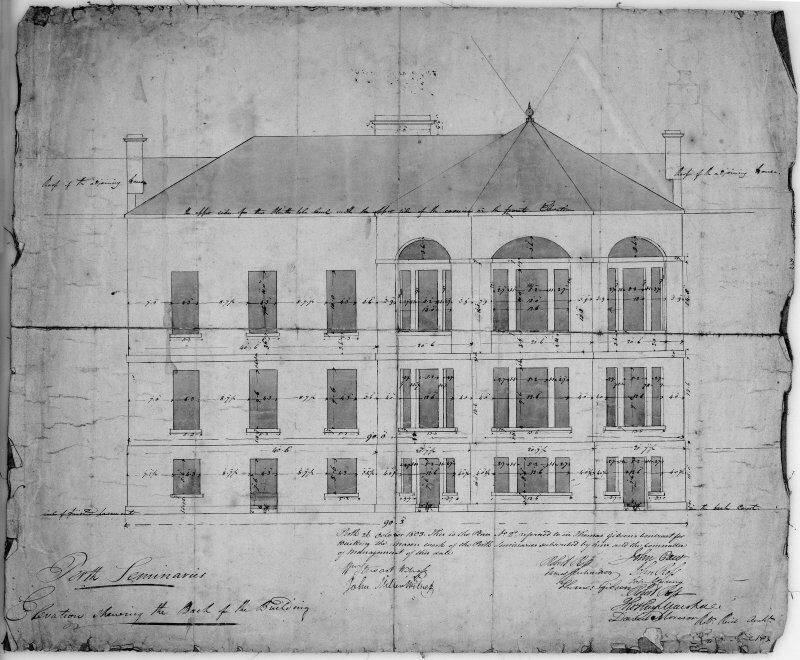 Front elevation, contract drawing. Insc: "Perth Seminaries". Perth, 6, 7 Rose Terrace, Old Academy, interior. 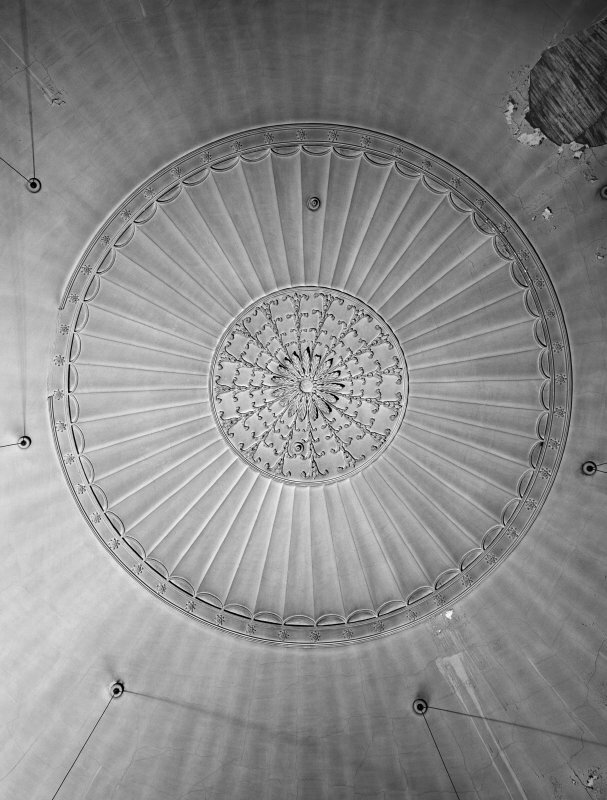 Detail of ceiling centrepiece within dome of first floor octagonal room. Perth, Rose Terrace, Old Academy. 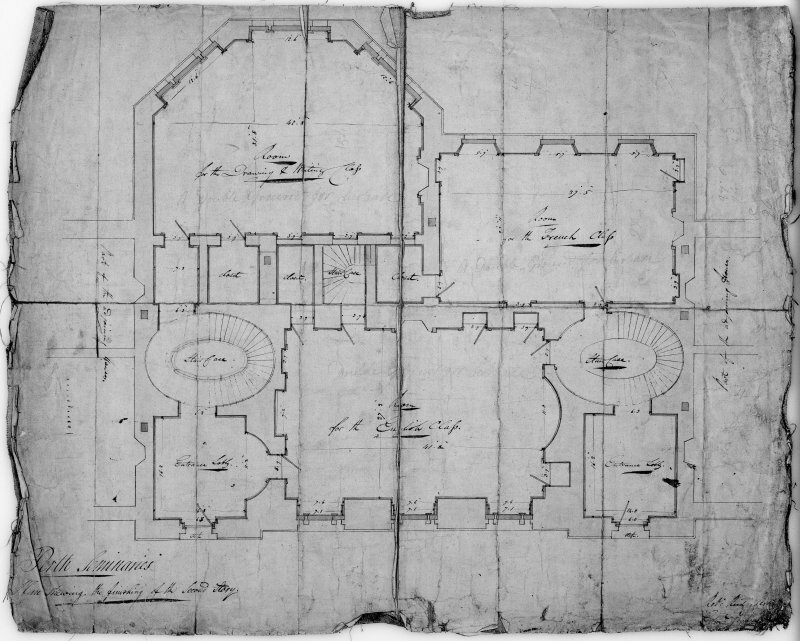 Plan showing finishing of third storey. Contract drawing. Insc: "Perth Seminaries". Perth, Rose Terrace, Old Academy. 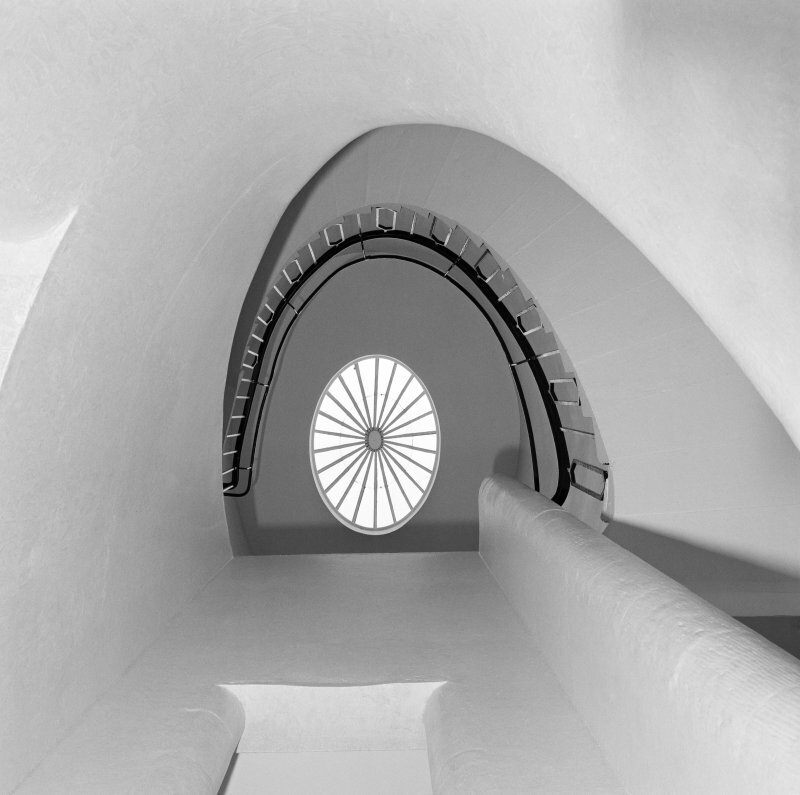 Architectural details. 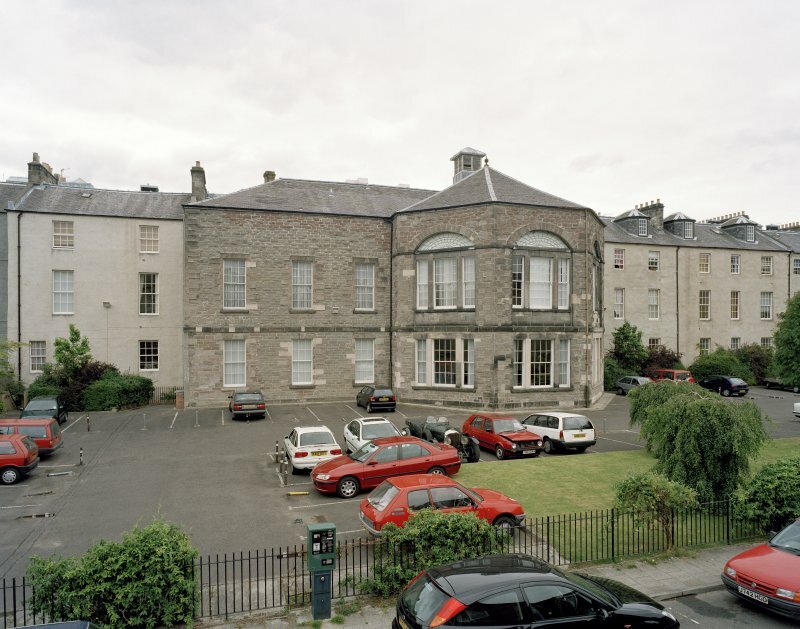 Insc; "Old Academy, Rose Terrace, Perth. Perth, Pullars Dye Works, Rose Street & North Inch Elevated view of Pullars Dye Works and Perth. Perth, Rose Terrace, Old Academy. 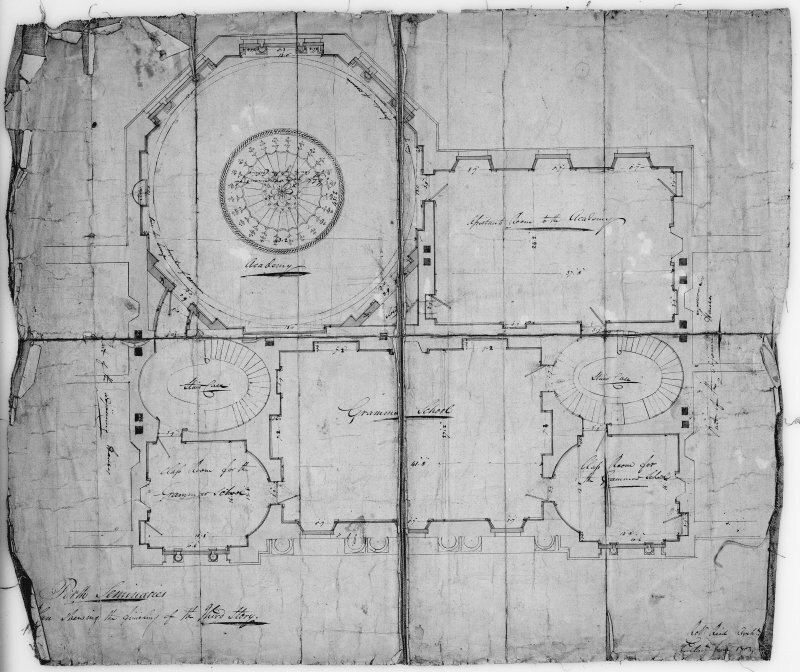 Ground plan showing furnishings. Insc: "Perth Seminaries". Perth, Rose Terrace, Old Academy. 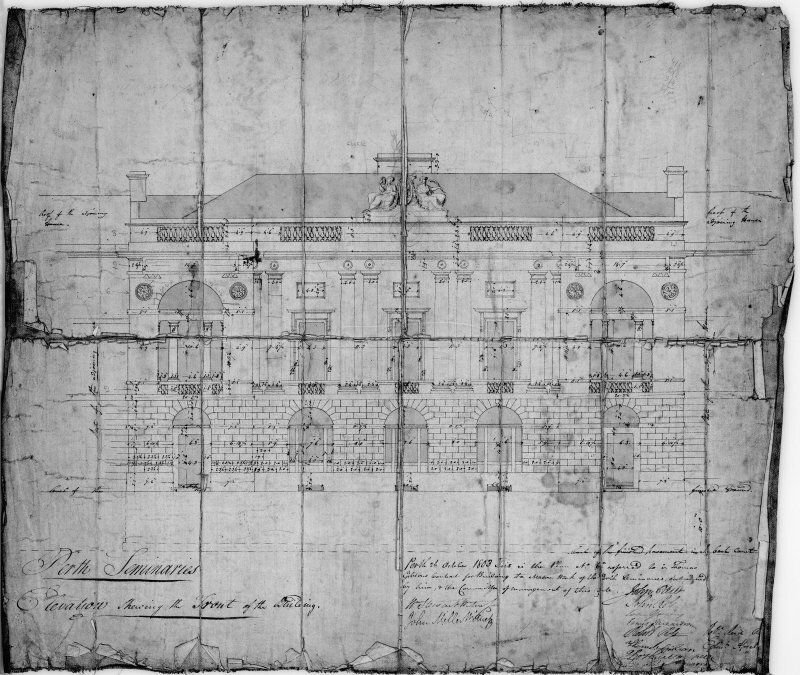 Back elevation, contract drawing. Insc: "Perth Seminaries". Perth, Rose Terrace, Old Academy. 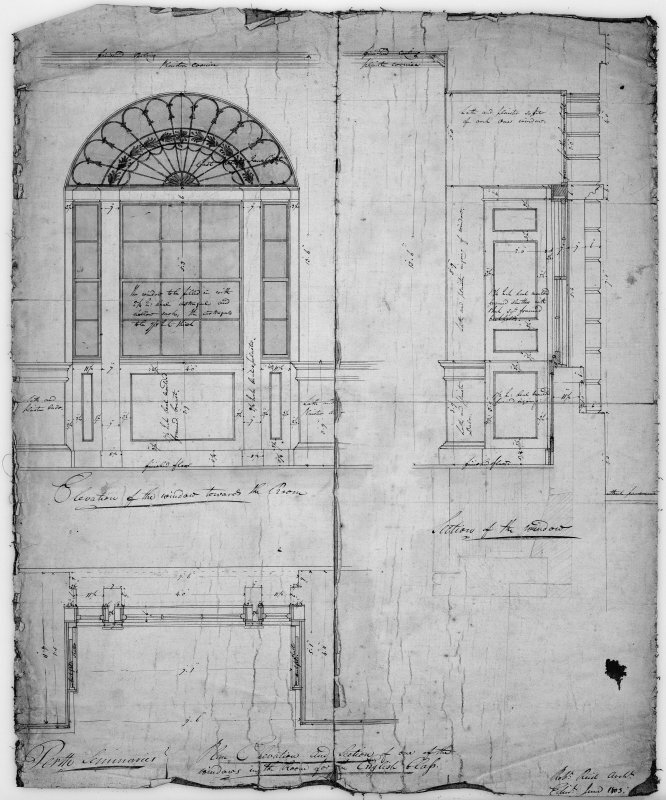 Plan, elevation and section of window in room for Academy. Insc: "Perth Seminaries". Perth, Rose Terrace, Old Academy. 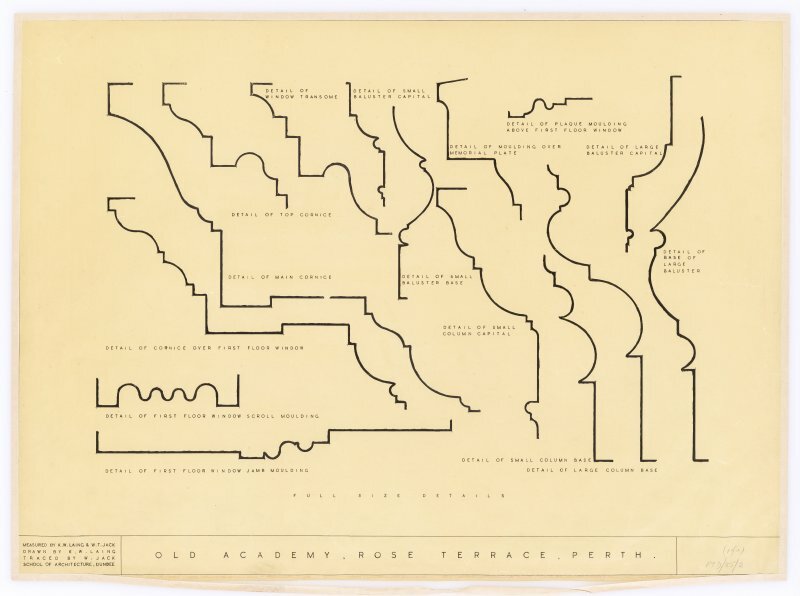 Plan and strip plan. 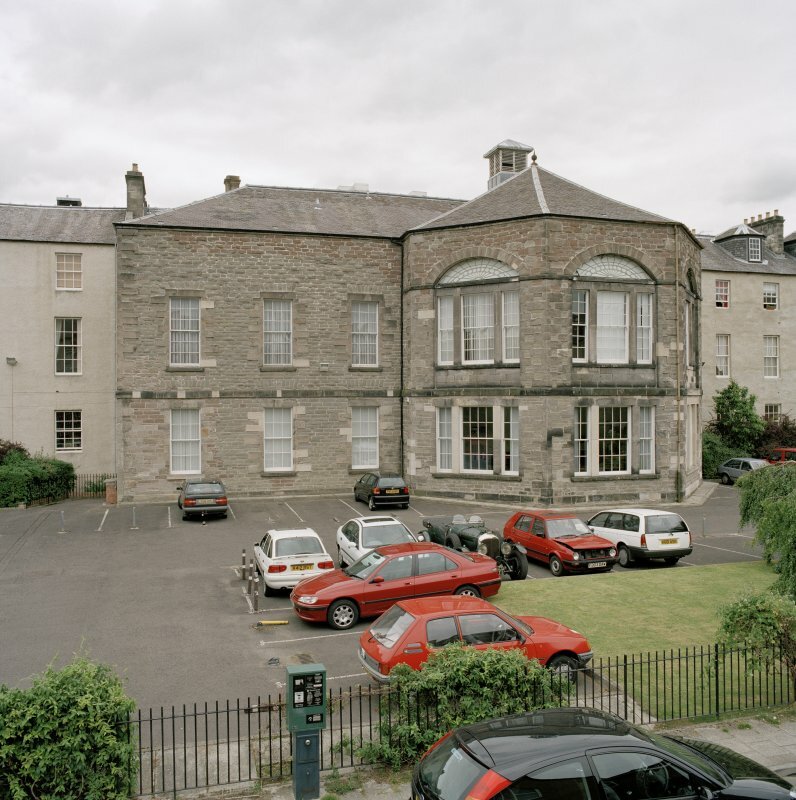 Insc: "Old Acadmey, Rose Terrace, Perth." Perth, Rose Terrace, Old Academy. 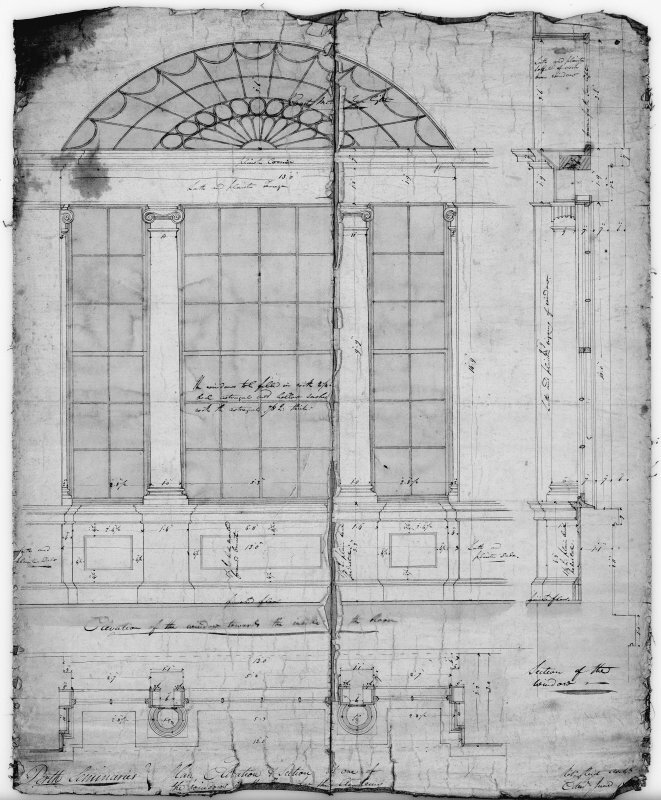 Plan, elevation and section of window in English class room. Insc: "Perth Seminaries". Perth, Rose Terrace, Old Academy. 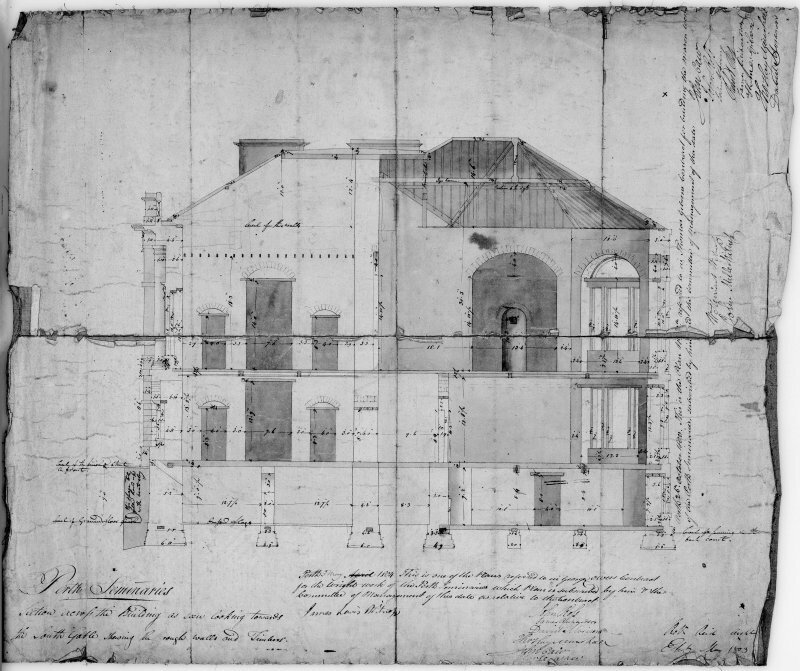 Plan showing finishing of second storey. Contract drawing. Insc: "Perth Seminaries". 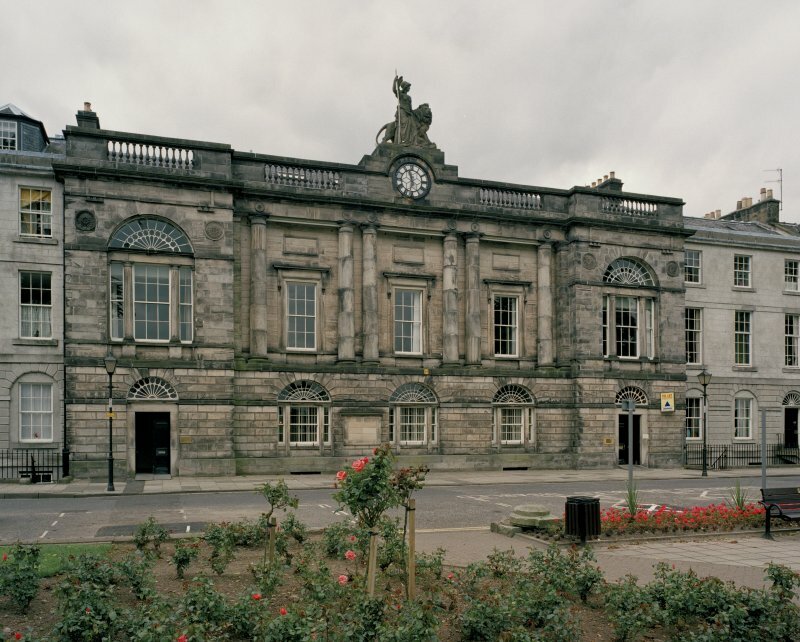 In 1803-4 Perth Academy was built to designs by Robert Reid. 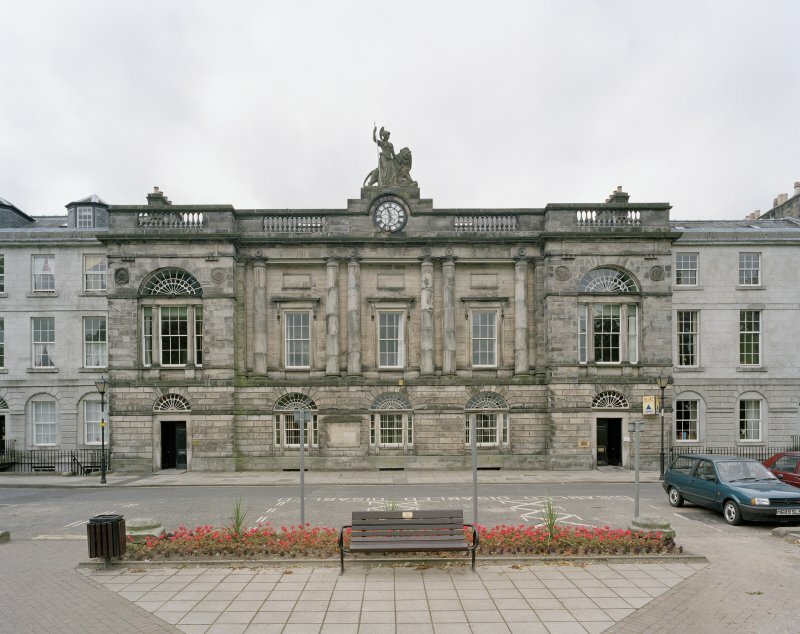 The building housed a number of educational establishments including the Academy and Perth Grammar School. 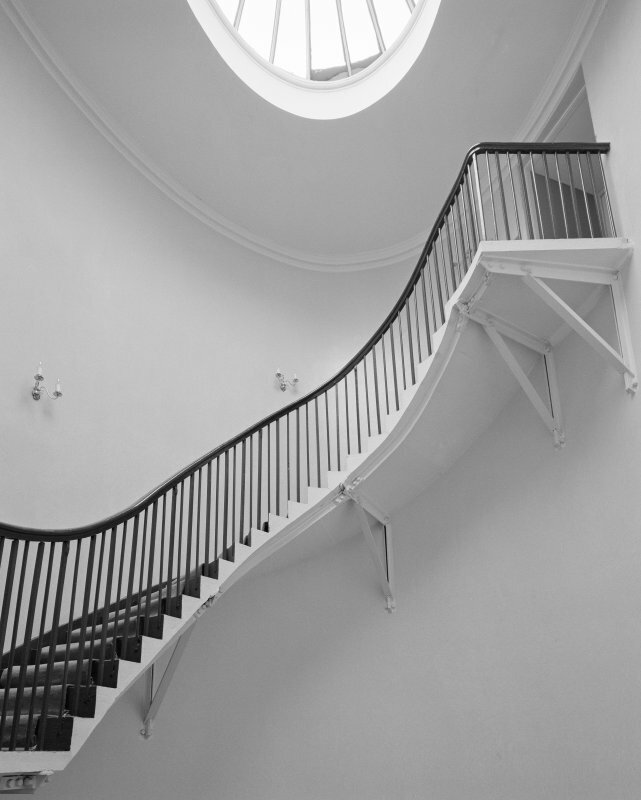 It was built in a classical style, featuring grand staircases, elegant plasterwork and a large domed schoolroom. 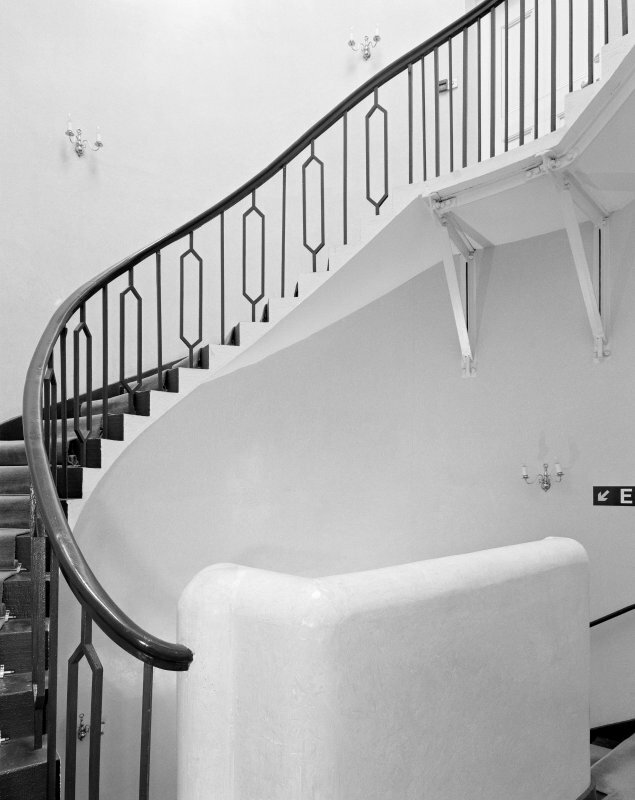 The building has now been converted into offices. S.N.P.G. Scots Magazine, Vol. 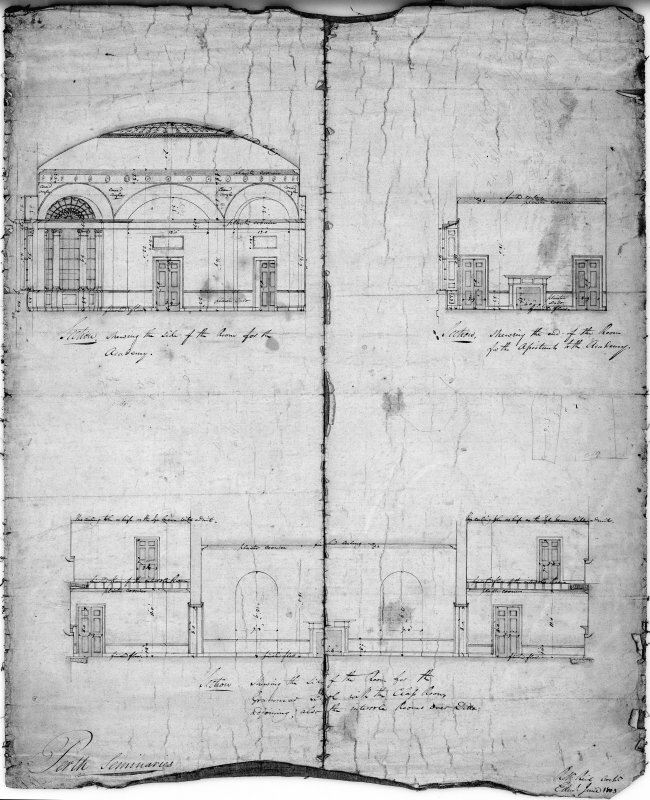 23, Oct. 1761, p. 555 note on opening.